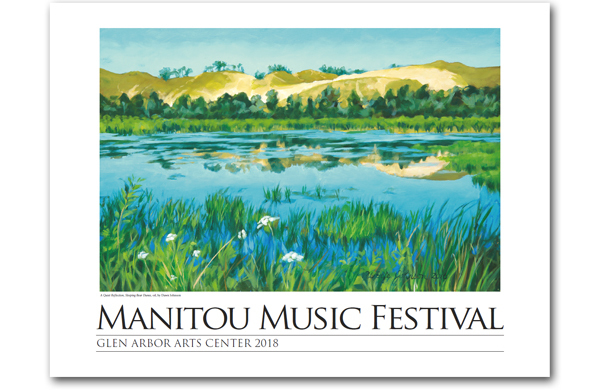 Your art here in 2019: The Glen Arbor Arts Center invites artists to submit original paintings for the annual Manitou Music Festival poster competition. The limited edition posters are hugely popular and sold through the Glen Arbor Arts Center and selected shops and art galleries in Leelanau County. The competition is open to anyone who is a current member of the Glen Arbor Arts Center. Click on the below link to read the prospectus and to find an application.